A new book of interest: "Phase Appropriate GMP for Biological Processes: Pre-clinical to Commercial Production", edited by Trevor Deeks. The book provides succinct and practical guidance on how to develop a biological drug product and, at the same time, stay within the regulatory expectations at each phase of the development process. Details of the book can be found at the PDA bookstore. 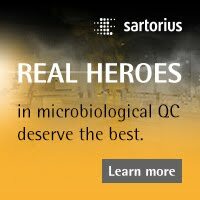 Sandle, T. (2018) Microbiological Control and Testing for Phase Appropriate GMP. In Deeks, T. (Ed.) Phase Appropriate GMP for Biological Processes: Pre-clinical to Commercial Production, PDA / DHI Books, Arlington Heights, IL, U.S.
Sandle, T. (2018) Sterility Assurance in Early Phase Development. In Deeks, T. (Ed.) Phase Appropriate GMP for Biological Processes: Pre-clinical to Commercial Production, PDA / DHI Books, Arlington Heights, IL, U.S. Researchers are developing a promising alternative to antibiotic treatment for infections caused by Klebsiella pneumoniae bacteria resistant to carbapenem antibiotics. The approach uses antibodies to target the K. pneumoniae protective capsule polysaccharide, allowing immune system cells called neutrophils to attack and kill the bacteria. 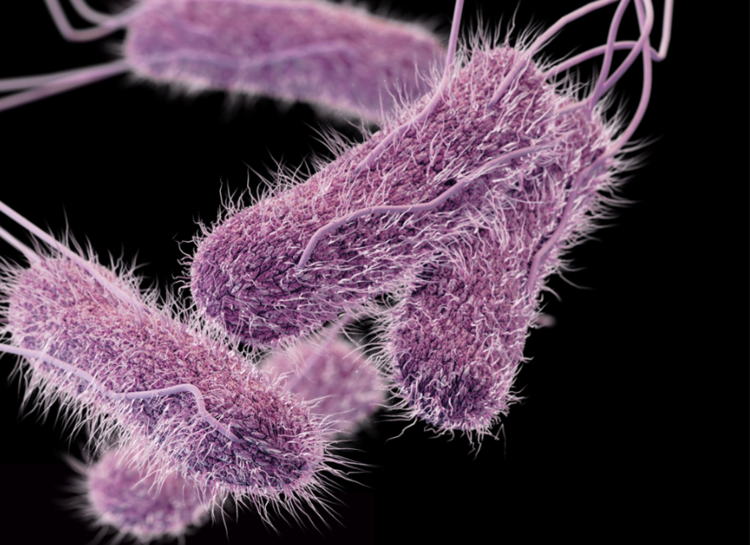 Klebsiella bacteria cause about 10 percent of all hospital-acquired infections in the United States. A carbapenem-resistant K. pneumoniae strain known as multilocus sequence type 258 (ST258) is one of the antibiotic-resistant organisms labeled an urgent threat by the Centers for Disease Control and Prevention. 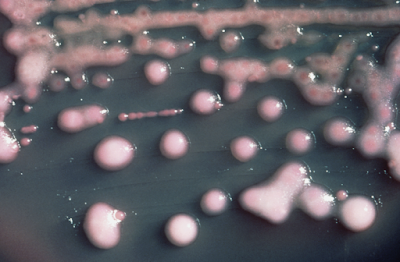 ST258 is particularly concerning because it is resistant to most antibiotics. 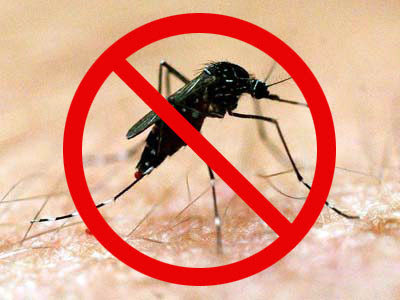 It is a significant cause of mortality among people with bloodstream infections. The researchers first determined that the bacterial capsule prevents immune system neutrophils from ingesting and killing ST258. They then extracted capsule from the two most abundant capsule types of ST258 and used them to generate antibodies in rabbits. In cell culture experiments they found that one of the antibodies enhanced the ability of neutrophils to ingest and kill bacteria. These results are a "proof of concept" for a potential immunotherapy approach for treatment of multidrug-resistant K. pneumoniae infections, the authors write. Next up, the researchers will test the therapeutic concept in mice. They also will compare immunization with purified capsule polysaccharide as a preventive approach (active immunization) versus using capsule-specific antibodies as a therapy (passive immunization). 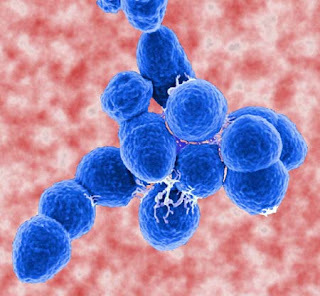 Ultimately, they hope either antibody treatment alone or in combination with antibiotics could greatly improve care for people with multidrug-resistant K. pneumoniae infections. Standard practices for the infectious diagnostics require up to 72 hours to allow for a reliable result. This is due to the fact, that the number of pathogens in a patients sample is too small to conduct tests. Analysis is therefore only possible after time-consuming cultivation. Especially in clinical application during treatments of severe infections e.g. a sepsis time is a crucial factor. 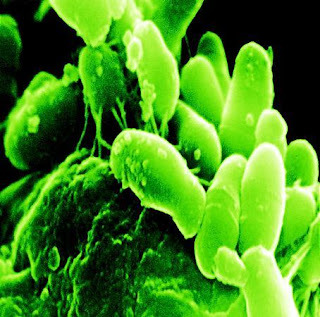 Intensive physicians are confronted with an alarming dilemma: "far too often we have to administer broad-spectrum antibiotics 'blindly', because we can neither analyse pathogen nor potential resistances. Therefore, we possibly use a sledge-hammer to crack a nut. A vicious cycle that aides the development of new resistances," explains Prof. Michael Bauer, director of the Clinic of Anesthesiology and Intensive Care at the University Hospital Jena. The new method out of Jena provides much faster diagnosis as basis for a decision of a reliable therapy. Ute Neugebauer, who works at Leibniz-IPHT and the University Hospital Jena points to tiny electrodes that are fixed on the surface of a stamp-sized chip. The combination of fast, light-based diagnostics and a high automation level reduces the time from sampling to result from to date 72 to three and a half hours. One of the major drivers of resistance spreading between bacteria are transposons -- also called jumping DNA: genetic elements that can switch locations in the genome autonomously. When transferred between bacteria, transposons can carry antibiotic resistance genes within them. Preemptive Steps Taken by FDA Seen As Disrupting Kratom Supplies and Forcing Reliance on “Substandard” Product; Salmonella Issue Shows Need for Properly Regulated Marketplace, Not DEA Scheduling that Would Ban Product; No Persuasive Case on Addiction or Death Made on Scientific Grounds Against Herb. The U.S. Food and Drug Administration (FDA) may have inadvertently contributed to the current small number of kratom-associated salmonella cases (fewer than 150 out of 1 million from all sources annually) when it preemptively imposed import restrictions on the herb and also focused on banning kratom rather than regulating its manufacture consistent with good manufacturing practices used with other supplements, according to statements made today during a news conference of leading kratom scientists. “The salmonella outbreak is not a reflection on kratom per se and underscores the need for FDA enforcement, not scheduling. The FDA’s designation of kratom alkaloids as opioids is consequential for both regulation and quality of marketed products. While traditional use is not a standard of evidence recognized in the US, where market access is based on presence prior to 1994, ultimately the focus needs to be ensuring the public has access to products that are safe and of high quality. "The FDA issued import alert that permits automatic detention of kratom materials without physical examination, has resulted in several kratom product being seized at ports and has forced many existing consumers to obtain products through internet distributors and dubious sources. The recent salmonella contamination of kratom products highlights the inconsistent enforcement of the mandatory 2007 current good manufacturing practice (CGMP) rule for dietary supplements by the FDA. The import alert and failure to enforce CGMP regulations has forced kratom products into an illicit market where adulterated and substandard products may flourish while driving legitimate products out of the marketplace.?" 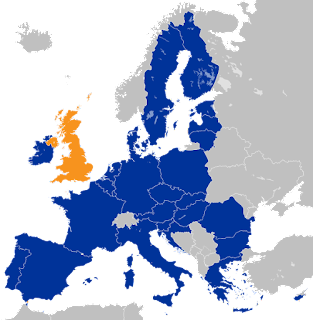 During its 159th plenary session, the European Pharmacopoeia Commission endorsed the complete suppression of the test for abnormal toxicity from the European Pharmacopoeia (Ph. Eur.). As part of this exercise, 49 monographs revised to remove the test for abnormal toxicity were adopted by the Commission; notably, these included 36 monographs on vaccines for human use. In addition, as the general chapter Abnormal Toxicity (2.6.9) will no longer be referenced in any monograph, it will subsequently be rendered obsolete and will also be deleted from the Ph. Eur. The Ph. Eur. Commission remains fully committed to the reduction of animal use wherever possible in pharmacopoeial testing, in accordance with the European Convention for the Protection of Vertebrate Animals used for Experimental and other Scientific Purposes. The decision to suppress the test for abnormal toxicity at the 159th session of the Ph. Eur. Commission is a strong illustration of this commitment. Researchers have designed sugar molecules that block E. coli bacteria from binding to urinary tissues, allowing the bacteria to be washed out of the urinary tract. The compounds represent a step toward treating UTIs without antibiotics. The bacteria E. coli cause 80 percent of UTIs, leading to painful, burning urination. The bacteria then sometimes travel to the kidneys, causing back pain and fever. In rare cases, they spread to the blood, a potentially lethal complication. Researchers have shown that E. coli also can latch onto galactose, another sugar molecule found on urinary tissues. 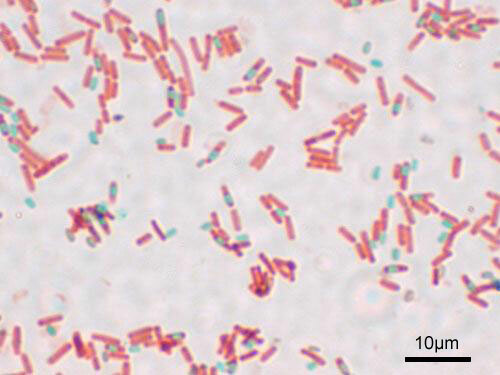 A drug that undermines the bacteria's ability to stay in the body is less likely to drive resistance because, unlike antibiotics, it would not force bacteria to die or evolve resistance in order to survive, the researchers said. Microbial control of pharmaceutical water systems is not only about numbers of microorganisms estimated to be present, as recovered through bioburden testing of a given volume of sampled water; microbiologists additionally need to know the types of organisms present within water. 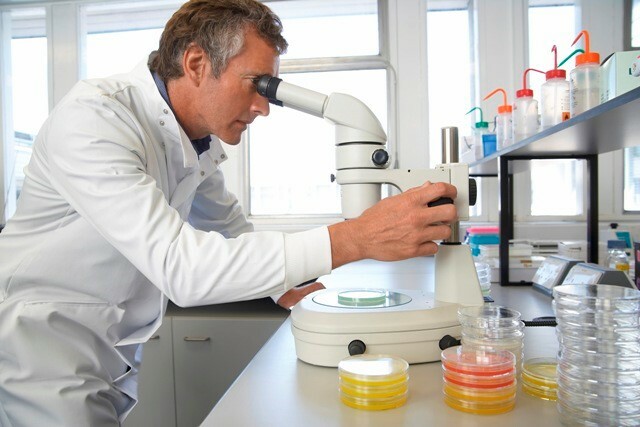 The microbiological monitoring of water systems in pharmaceutical facilities requires an assessment of total microbial count, with an action level applicable to the water grade. It is also considered good practice in many facilities to assess water for the presence/absence of identified objectionable microorganisms. Included among these ‘objectionables’ are coliforms, as indicators of substandard water. The traditional approach for assessing for coliforms in water is using a specialised agar. 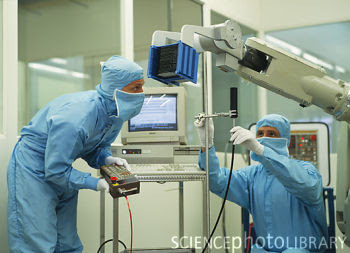 This approach requires an incubation time within the region of 3 to 5 days. This paper assesses an alternative method, which provides a result within 18 to 24 hours. 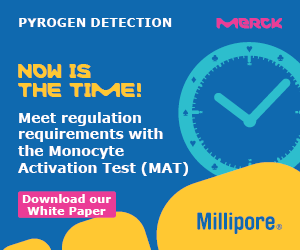 The method evaluated was the Readycult® Coliforms 100, which contains both a chromogenic substrate (to show the presence of coliforms) and a fluorogenic substrate (to show the presence of Escherichia coli). 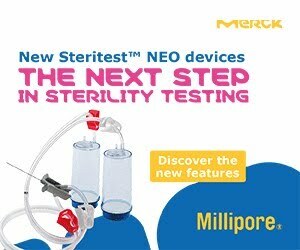 Through a series of experimental tests involving different grades of pharmaceutical water and different microorganisms, the Readycult® Coliforms 100 was shown to be suitable as a rapid microbiological method for screening water, with reactions produced comparable to conventional methods. Bacteria found in the small intestines of mice and humans can travel to other organs and trigger an autoimmune response, according to a new study. The findings suggest promising new approaches for treating chronic autoimmune conditions, including systemic lupus and autoimmune liver disease, the researchers said. In models of genetically susceptible mice, the researchers observed that in tissues outside the gut, E. gallinarum initiated the production of auto-antibodies and inflammation -- hallmarks of the autoimmune response. They confirmed the same mechanism of inflammation in cultured liver cells of healthy people, and the presence of this bacterium in livers of patients with autoimmune disease. The U.K. Government’s new Office for Product Safety and Standards has teamed up with BSI to launch the first Government-backed Code of Practice (PAS 7100) for product safety related recall and other corrective action in the UK. This new guidance will help businesses understand what they need to do if something goes wrong with their product. The Code of Practice includes details on how a business can monitor the safety of products and plan for a recall, and how Market Surveillance Authorities such as local authority Trading Standards can support businesses in their monitoring of incidents and their implementation of corrective action. 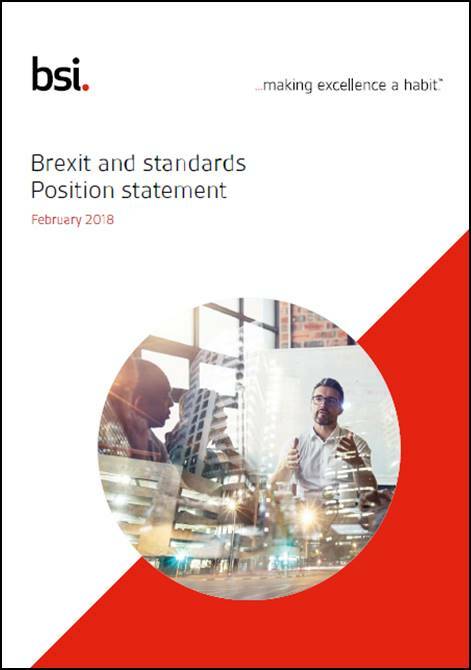 The Code of Practice, developed by BSI, is the first major initiative for the new Office which was launched by the Department for Business, Energy and Industrial Strategy in January. It follows a recommendation by the Working Group on Products Recalls and Safety to introduce such a Code to further strengthen the UK’s already tough product safety regime. The Code of Practice comes in two parts. The first part is focused on non-food consumer products and is intended for use by manufacturers, importers and distributors. The second part is aimed at regulators, specifically Market Surveillance Authorities including local authority Trading Standards. It details how they can carry out their role in ensuring businesses meet their responsibilities in respect of consumer product safety issues. “This new Code of Practice will support businesses in dealing with product safety issues swiftly and effectively, ensuring people can continue to buy secure in the knowledge there is an effective system in place if products need to be repaired or replaced. Use the link to learn more about the Code of Practice. In 1854, John Snow's work on cholera in London immortalised the power of mapping as a tool for disease prevention and control. 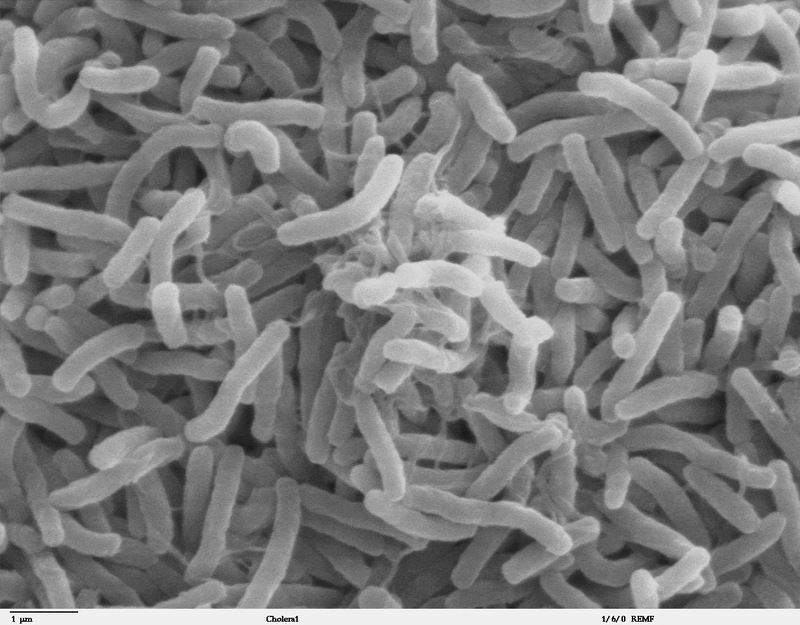 Over 160 years later, a more ambitious effort to map cholera has been reported in The Lancet. Forgoing so-called shoe leather epidemiology in favour of big data, Justin Lessler and colleagues2 used 279 cholera datasets covering 2283 locations in 37 countries, and cluster-level maps of access to improved water and sanitation in 41 countries, to map cholera incidence across sub-Saharan Africa at a 20 km × 20 km grid scale. An interesting article from The Lancet by Eric Mintz. "Sustainable water supply, sanitation, and hygiene (WaSH) infrastructure is crucial for ending transmission of cholera and other diseases transmitted by the faecal–oral route, and is a Sustainable Development Goal 2030 target in its own right, but its construction is costly and time consuming. Oral cholera vaccines, which are effective at reducing cholera transmission in the short term (3–5 years), remain in short supply relative to global demand despite substantial success in increasing their production and accessibility." In this webinar Tim Sandle will examine the risks posed by fungi to pharmaceutical products and has emphasized how this is an issue of growing importance (as seen by the extent of product recalls relating to fungal contamination). 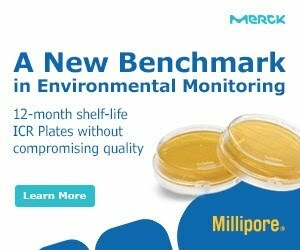 The webinar has further considered where fungi pose a risk within the manufacturing process and also to argue that recalls relating to fungal contamination can be reduced through improved cleanroom design; risk assessment; and developing greater specialism’s within quality control departments in order to be able to characterize, identify and to trace fungi. 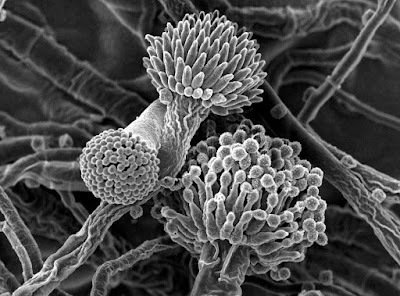 This way, the risks posed by fungi to pharmaceutical processes should receive the level of attention necessary, especially in light of the potential for certain products to become contaminated. For details, see Online Compliance Webinar. 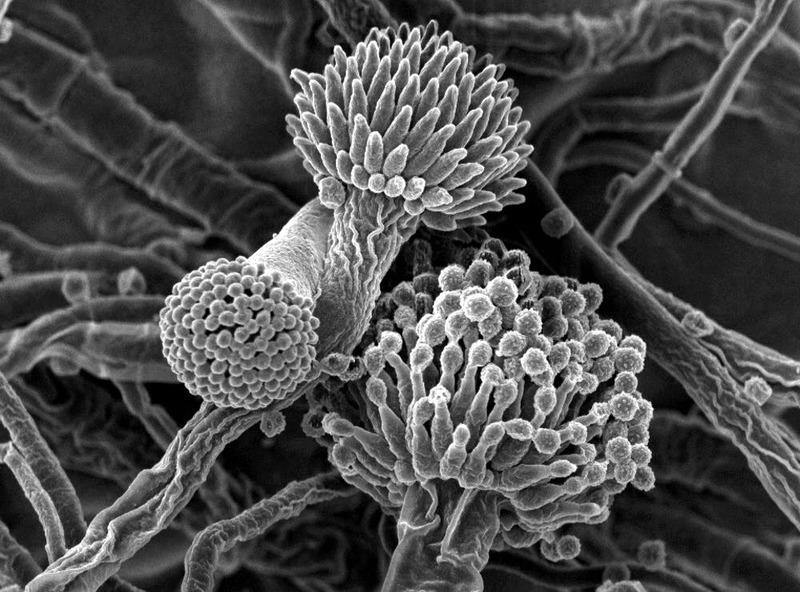 Bacterial spores store information about the individual growth history of their progenitor cells, thus retaining a "memory" that links the different stages of the bacterial life cycle. This phenomenon was demonstrated in a recent study. The researchers studied the adaptive bacterial life cycle using Bacillus subtilis as a model organism. Through the use of time-lapse microscopy, they were able for the first time in this context to observe and to study sporulation and spore revival at the single-cell level -- and how they correlate. They discovered that the spores responded very differently to the influx of new nutrients: The spores that formed earlier during a nutrient down-shift revived more quickly. The metabolic enzyme alanine dehydrogenase contributes to this effect, according to the researchers. Bacteria produce the enzyme when the amino acid L-alanine is available and stop synthesis once it runs out. Dr Bischofs explains that the enzyme is passed down from one generation of bacteria to the next by carry-over until spores are formed. The enzyme is then stored in the new spores, where it remains inactive until new nutrients arrive that facilitate spore revival and re-growth. Exposure to psychological stress in the form of social conflict alters gut bacteria in Syrian hamsters, according to a new study by Georgia State University. It has long been said that humans have "gut feelings" about things, but how the gut might communicate those "feelings" to the brain was not known. It has been shown that gut microbiota, the complex community of microorganisms that live in the digestive tracts of humans and other animals, can send signals to the brain and vice versa. In addition, recent data have indicated that stress can alter the gut microbiota. The most common stress experienced by humans and other animals is social stress, and this stress can trigger or worsen mental illness in humans. Researchers at Georgia State have examined whether mild social stress alters the gut microbiota in Syrian hamsters, and if so, whether this response is different in animals that "win" compared to those that "lose" in conflict situations. Hamsters are ideal to study social stress because they rapidly form dominance hierarchies when paired with other animals. In this study, pairs of adult males were placed together and they quickly began to compete, resulting in dominant (winner) and subordinate (loser) animals that maintained this status throughout the experiment. Their gut microbes were sampled before and after the first encounter as well as after nine interactions. Sampling was also done in a control group of hamsters that were never paired and thus had no social stress. The larva of the sleeping chironomid, Polypedilum vanderplanki -- a mosquito-like insect that inhabits semi-arid areas of Africa -- is well known for being able to come back to life after being nearly completely desiccated, losing up to 97 percent of its body's water content. Now, researchers have discovered that a gene called heat shock factor -- which is present in some form in nearly all living organisms on earth -- has been coopted by the species to survive desiccation. Heat shock factor -- which exists in a single form in invertebrates but multiple forms in vertebrates -- is an essential part of the ability of living cells to survive stressful conditions such as heat, cold, radiation, and, it turns out, desiccation. In desert insects, the researchers found, the gene is able in certain conditions to upregulate itself, and this upregulation leads to a number of downstream processes, including the synthesis of heat shock proteins that are able to protect proteins in the cell from misfolding. 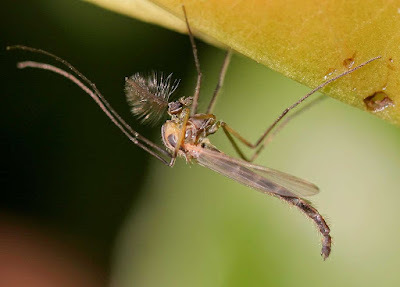 To perform the research, published in the Proceedings of the National Academy of Sciences, the researchers compared data on RNA expression in the sleeping chironomid with a closely related species, Polypedilum nubifer, which is not capable of surviving desiccation. They found that in the sleeping chironomid, hundreds of genes, including genes known to be involved in forming a "molecular shield" against damage due to dehydration, were already expressed during the early stages of desiccation. They discovered that a certain DNA motif, TCTAGAA, which is the binding site for HSF, was strongly enriched around the transcription start site of the genes activated by desiccation in the sleeping chironomid, but not the other species. Intriguingly, they found that in the desiccation-tolerant species, but not the other, genes responsible for the synthesis of trehalose -- a sugar that can stabilize cells in a dry state -- contained the TCTAGAA motif.